Sony has hit the ground running in 2019 with a small feature-packed new camera that Sony describe as having “full-fledged full-frame features”. In fact some of these ‘full-fledged’ features surpass what is currently available on the latest full-frame cameras. If Canon and Nikon were playing catch-up in 2018, 2019 should prove to be a very interesting year for Sony – who will undoubtedly want to make their products stand head-and-shoulders above the new mirrorless competition – especially in terms of AF performance. Some things that may get lost in the excitement surrounding this new camera are developments to Sony’s Imaging Edge software, a new ‘Imaging Edge’ mobile App that could be replacing the current ‘SonyPlayMemories’ app and announcements to new firmware upgrades to existing cameras. For many Alpha owners the arrival of an α6400 (an upgrade to the α6300) is not going to set the world on fire. For me, however, the camera has created a ‘disturbance in the force’ that shows Sony is pushing forward rapidly on firmware development as well as the hardware. Improvements to AF usability (Real-time AF when tracking moving targets) looks to be the most interesting development for stills photography, while Vloggers will be really interested in the 180° ‘flippy’ screen that appears to be taken from the α5100. The lack of Sensor Stabilisation may, however, deter a few of the professional Vloggers who would prefer not to to invest in a Steadycam rig. Some stills photographers (those who typically see the glass is half-empty rather than half-full) will inevitably want to point out what this camera doesn’t have, e.g. the Z-series battery, Steadyshot, dual card slot and a floppy screen that does not flip to the side. I would prefer to focus on the exciting new features. The α6400 is certainly a very interesting update that should be of great interest to all Alpha owners because the camera is packed with firmware features that will inevitably work there way onto every subsequent model (and hopefully to some existing models via a firmware upgrade). 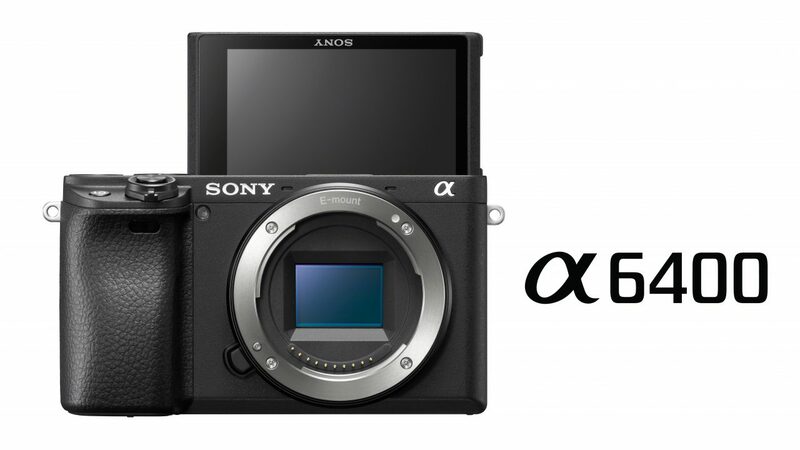 SonyAlphaRumors.com have been predicting/anticipating a high-end α6700 or α7000 for the last 6 months or more …but not this intermediate model that sits between the α6300 and α6500. This α6400 will more than likely replace the α6300 rather than add to A6K range. Sony don’t often replace models but the α6400 is too close in functionality and price to the α6300 for the two models to co-exist. World’s fastest AF: 0.02 seconds AF acquisition speed plus 425 phase-detection and contrast-detection AF points covering approximately 84% of image area. That is more than twice as fast as the A6500 (0.05 seconds). It is interesting to note that Sony have leveraged this performance from their Exmor sensor rather than their later Exmor R (Backlit) or RS sensors (Stacked). Real-time Tracking: Sony’s latest AF algorithms include Artificial Intelligence based object recognition (not just for Eye-AF) and this should lead to improvements on all AF subject tracking. It is interesting to note that Sony have advertised this new technology using a full-frame camera in a promotional movie and not their new α6400. ‘Real-time object tracking’ will also be rolled out via a firmware upgrade to the α9, α7III and α7RIII cameras. Sony has listed the Metering Sensitivity for the α6400 camera as EV-2 to EV20 (at ISO100 equivalent with F2.0 lens attached). This brings the gap between the APS-C and Full-Frame cameras closer and should improve the ability for the camera to acquire subjects when the ambient light is very low. The APS-C cameras such as the α6300 and α6500 typically quoted a figure of EV-1 compared to EV-3 for the Full-Frame cameras. The use of a single-touch for locking on to a moving subject in movie mode would appear to be a death sentence for Sony’s previous ‘Center Lock-on AF’ functionality. The promotional movie would also seem to indicate a new green ‘confirmation graphic’ that tracks with the subject to indicate the subject is acquired. Real-time Eye AF in Continuous AF (AF-C): Users have frequently requested this feature to be automated so that they do not need to hold down a custom button to activate Eye-AF. It is has previously been automated in AF-S when Face detection is switched on for recent model Alphas but this is now possible in AF-C with this new camera. A new Menu controls the functionality of the Eye-AF and this is the first time that Eye-AF has been given a dedicated place in the menus (formerly there was just an option to assign it to a Custom key in the Custom keys menu). The lack of Eye-AF in the menu on previous models was a source of confusion for new Alpha owners who had heard great things about the feature but couldn’t find it in the menus. Not only has Sony enabled Eye-AF as a menu item, it also offers a choice of left or right eye that can be switched automatically or assigned to a custom key. Animal Eye-AF: Sony have announced that they will be releasing this as a firmware upgrade for this camera in the summer (northern hemisphere season). Increased functionality for the Touch Panel: Users have requested the Touch Panel should do more than just move an AF point. Some will disappointed that navigation of menus is still not possible while others will be delighted that you can now move focus and activate the shutter with a single finger. 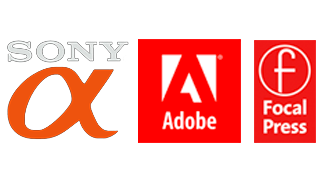 Time Lapse (Intervalometer): The disappearance of the SonyPlayMemories Camera Apps on the α9 and α7III cameras led to a renewed requested for a firmware Intervalometer (a feature that is currently enjoyed by Nikon users). This is now a reality and and Sony’s Imaging Edge loos like to will be updated to offer the option to build the final movie from stills captured by the camera. Movie Features: No dimming of the screen when shooting 4K (you may want to grab a battery pack for this one) and the 30 minute recording limit has been removed. Note : I will update this blog post when I get the opportunity for hands-on testing. This entry was posted in Announcements, Blog, E-Mount Cameras, Firmware, Reviews and tagged A6400, alpha, APS-C, camera, Crop Sensor, E-Mount, first impressions, preview.